Eastman Kodak has announced plans to further reduce its workforce by the end of this year. In addition to the 2,700 employees that have already been let go, the iconic company says that another 1,000 workers will be out of a job before 2013 rolls around. The cuts are expected to save roughly $330 million in salary and benefits that would otherwise have been paid out. Kodak chairman and CEO Antonio Perez highlights the fact that their current workforce and cost structure was designed for a much larger and more diversified set of businesses. If you recall, Kodak has been selling segments of their business left and right. We’ve already seen them part ways with their image sensor, print film and online photo gallery over the past several months. As CNET points out, the executive didn’t rule out the possibility of further job cuts. Instead, he said additional analysis of operational and workforce reductions were imminent. The 133-year-old company filed for chapter 11 bankruptcy protection in January 2012 and have been engaged in a rigorous restructuring plan ever since. 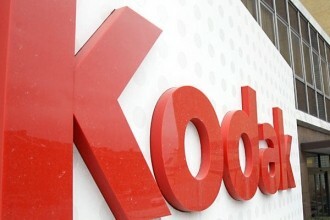 It looks like a large patent portfolio is next on the chopping block – a product Kodak hoped would raise more than $2 billion when it first went up for auction. Last we heard Apple and Google were joining forces to offer just north of $500 million for the portfolio. Unsurprisingly, Kodak said they might not even sell the patents at all in light of the low-ball bids thus far.